The fearless fitness leaders who are hosting retreats around the world. Coach Alberto Ortiz got his start in the fitness industry at age 16 when he volunteered to teach baseball and fitness to kids in the South Bronx, his home town. His love for baseball continued through college where he played until an injury stopped him during his junior year. While rehabbing, Alberto enjoyed spending time in the gym and decided to get certified as a personal trainer. Then in 2005, Alberto started working at Crunch where he quickly became a master trainer. In an effort to become Batman (or as close to Batman as humanly possible), Alberto began training in a variety of martial arts including Krav Maga, Jiu Jitsu, boxing, and Muay Thai, and soon boxing rose to the top. Alberto began training cancer patients, helping them feel strong - physically and emotionally - through their sessions. 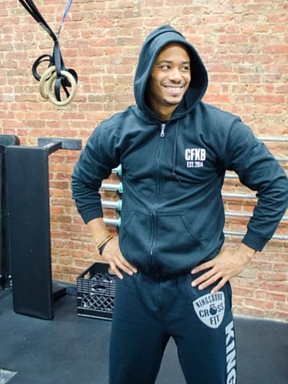 His passion, dedication, and talent led him to open his own gym on his 25th birthday in 2009. 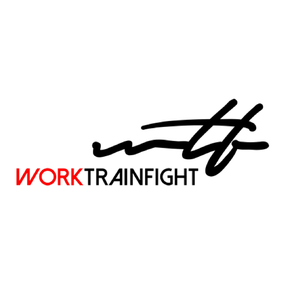 Work Train Fight (WTF) is a fitness facility with a strong foundation in boxing, that is dedicated to allowing personal trainers to focus on what they do best– helping clients get results. The facility is designed to fit every trainers style, ranging from fight training all the way to body building. Alex Nicholas, owner and founder of EPIC Hybrid Training in New York City, will be the head coach on the EPIC Fitness Scavenger Hunt in Costa Rica! He will be joined by other members of the EPIC Hybrid Training Coaches Team from different gym locations such as NYC, Miami, and Providence. 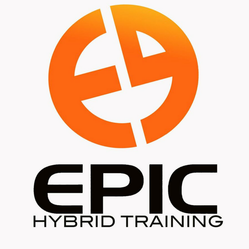 EPIC Hybrid Training is the multi-city gym consisting of seven different fitness classes along with The EOC Program for the Obstacle Course Race (OCR) enthusiasts. All classes have a range of 5-8 unique circuit stations that utilize EPIC movements. Alex is a member of the Reebok Spartan Pro Team as well as EPIC's lead coach. He has also achieved countless race podium finishes from Spartan to Duathalons and never backs away from a challenge! Amanda Butler is a personal trainer, fitness instructor, and fitness model in the crazy, beautiful city of New York. Originally from Hastings, Nebraska (the land of corn, cows and Husker Football! ), she grew up with a deep love of sports and dance. She studied Dance at Oklahoma City University and performed for the Royal Caribbean cruise line for three years. When she was ready to plant her feet on dry land, there was no better place to go than New York City! Amanda loves to share her passion for fitness and well being with clients. To her it is all about finding balance and living your best life. She is here to motivate you, to make you realize that living a healthy lifestyle is easily attainable, and to become "Stronger than your Excuses!" You can learn more at amanda-butler.com, and check out her classes at The Fhitting Room in NYC. From ballet to black belts, Anna has always kept movement close to her heart. Plie squatting her way through Hoboken and New York for three years now with her results-driven approach, Anna can't get enough of the Barre and neither can her clients! 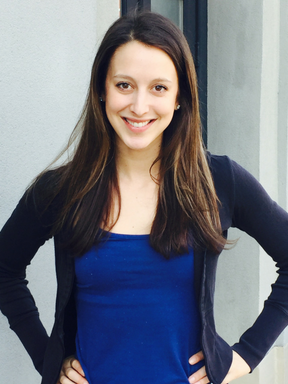 Anna is certified through AFAA group fitness, The Booty Barre, The Lagree Method (megaformer), and Schwinn Cycling. Fitness should be fun and effective and that's exactly what you will get out of every class with Anna! 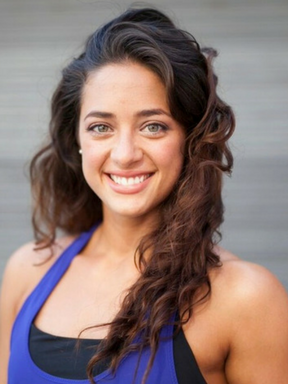 ​Brittany Ignas is a fitness professional in New York City, teaching at multiple boutique studios including Circuit of Change, SLT, Barre3 and CYC Fitness. She has a strong background in anatomy after graduating from Indiana University with her B.S. in Kinesiology and concentrations in Contemporary Dance and Fitness. She is certified in the individual methods she teaches as well as having her 200 hour yoga certification and Stott Pilates Certification. She loves bringing a mindful experience to every workout she provides, and she motivates you to push yourself to achieve your goals. She is excited to lead her first retreat in Tulum where you will find a great balance of sweating, breathing and having fun in the beauty of Mexico. She is currently working as an Instructor Trainer with Merrithew Health & Fitness® and coordinating with Life Health & Fitness. Brooke is also a certified STOTT Pilates Instructor Trainer certifying new instructors nationally and internationally. As a course instructor trainer she teaches various workshops on anatomy, postural analysis, kinesiology and corrective exercise training. Through her knowledge of the human body she has been able to design safe and effective programs for her clients that are based on their individualistic needs and goals. She views fitness as a way of life and looks at every “body” as a new challenge. She believes that health is mental, physical and emotional. You need to have the mind/body connection in order to see optimal results. She has been awarded as one of Shape Magazine’s Hottest Female Trainers for 2014 and the Top District Trainer for 2008, 2009, 2010, 2011 with NYSC. For more information look at: www.tayloredfitness.net. ​Raised in Santa Fe, NM, Chelsea's love for physicality and athleticism began at the National Dance Institute of New Mexico where she studied Ballet, Jazz, Tap, and Modern dance for 13 years. Before graduating high school, she performed on stages across the U.S. including City Center in New York and the White House. She attended college at the University of North Carolina School of the Arts as a contemporary dance major until a reconstructive hip surgery in 2009. 9 months later, she found herself 30lbs overweight, out of shape, and unhappy. In 2010 she began training at a kettlebell studio (Dynamic Fitness, Santa Fe, NM) and a new passion was found. Through "hardstyle" kettlebell training Chelsea became stronger and healthier than she'd ever been. Upon moving to NYC in 2011 she began working at Equinox, where she spent 3 years as a top producing personal trainer. In February of 2014 she left Equinox to found Athaya Fitness. Her experience with dance, Pilates, yoga,kettlebells, Olympic weightlifting, injury rehabilitation, and bodybuilding has inspired her to develop a unique method of training that works for all levels of fitness and is applicable to any goal. Curtis Williams is a premier sports performance coach in New York City and nationwide. He was an active player in the NFL from 2005-2007, playing for the Baltimore Ravens, New York Giants, and New York Jets. Curtis works with a wide range of athletes as well as clientele simply looking to improve their health and fitness. 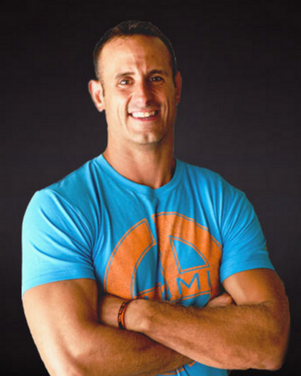 Curtis is a member of the Under Armour Performance Training Council, a panel of some of the most influential sports performance trainers across the country, and he currently teaches his Training C.A.M.P. method in classes across the city and country. Coach Williams has over 5 years in the sports performance field to add to his resume as an NFL athlete and the first Director of Strength & Conditioning at New York University. Certified as a Performance Enhancement Specialist by the National Association of Sports Medicine Curtis is committed to the functional approach to training, where he focuses on training movement, not body parts. He coaches with a proven system that trains athletes systematically to enhance their athleticism; to build an athlete who is stronger, quicker, more agile, and less prone to injury. Regardless of ability level each athlete will be coached and educated on all aspects of their training to understand the intent of what they are trying to accomplish with each session, not just told what to do. Curtis provides a positive, high energy environment that empowers clients to reach their full potential. 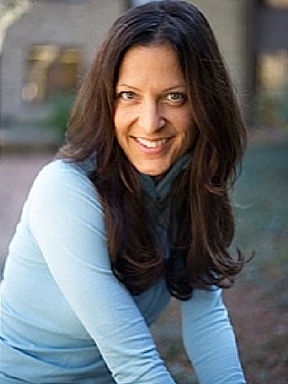 Coach Dani has been a Pilates instructor for over a decade, teaching hundreds of students in New York and Los Angeles. Upon moving to New Jersey, she opened Pilates Blast Studio which is the only studio in Monmouth County that is home to the Megaformer (an innovative take on the traditional Pilates reformer that allows for a more cardio-infused, killer workout). Dani discovered Pilates after a career-ending back injury while dancing with the Radio City Rockettes. Including Pilates in her rehabilitation program eliminated her back pain, strengthened her core, and transformed her body and mind. Since then, she has been inspired to share Pilates – and her fun, goofy sense of humor – with clients everywhere. ​Evgenia was born in Ukraine, grew up in Prague, spent close to a decade in NYC, until she followed her heart to Crete. 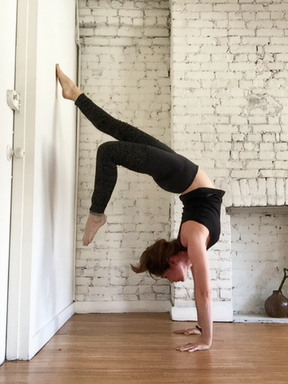 Passionate about movement, she decided to turn her hobby into a job she will actually like, and became certified in classical Pilates at Core Pilates NYC, where she later taught. Living a healthy lifestyle, and wanting to help others get on the wellness path also, she became a certified Holistic Health Coach. After going to Crete for vacation, she decided to move there, and wants to share the beauty of the island and the benefits of Pilates with you. "If you want to do something or be something, work at it every day. Don't be good, be great!" Jay Lippa is a NASM certified personal trainer and an ISCA certified kickboxing-boxing instructor who also specializes in boot camp fitness, sports conditioning, core conditioning, and cardio training. He began his career in fitness in 2007 and works at New York sports club, ROK Fitness, Club Central Fitness, and has worked for Adel's International School of Karate. Jay is motivated every day to inspire people to live a healthier lifestyle through good nutrition and consistent exercise, and he leads by example! 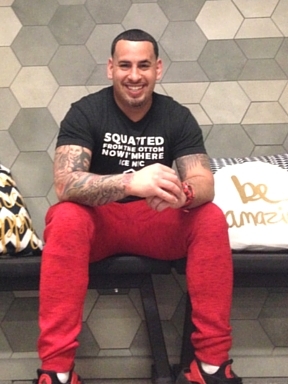 For fun, he enjoys boxing, Krav Maga, biking, yoga, obstacle courses like Spartan, and biking. ​Jasmine "Jaz" Graham, owner of Pace For Success and Fit Factory NYC is a fitness entrepreneur, experienced coach, fitness expert and endurance athlete. Jasmine started Pace For Success in 2008 and immediately received accolades and a loyal following for her Runners’ Bootcamp classes which focus on strengthening runners as they train for endurance events. Jasmine has run 4 marathons and numerous half marathons and is a contributing coach for the New York Times “Run Well” program. In September 2012 Jasmine opened Fit Factory NYC, a boutique fitness studio in Chelsea offering independent certified trainers and group fitness instructors a location to train clients through personal training, small group sessions and group fitness classes. In addition to owning, managing and teaching at Pace For Success and Fit Factory NYC, Jasmine is a run coach for Team in Training, coaches their Spartan Race program and was featured in their 2012 ad campaign. She and her P4S coaching staff also coach Team Yachad, The American Liver Foundation's NYC Marathon team and various teams and personal 1on1 coaching as well. ​Jenna Muller is a born and bred New Yorker and a dancer at heart. She danced her first steps at the age of 3 and continued to dance throughout college at Hofstra University. Throughout her journey, she has studied various forms of dance including ballet, tap, jazz and modern. The pure joy of movement and performing ignited a life-long passion for dance and fitness. After working in the corporate world for many years, she missed the daily mind-body connection dance offered. To re-connect, she became certified in Pilates and barre3, a 60 minute workout which fuses yoga, ballet, and Pilates. Today, fitness is an integral part of her daily life and she loves sharing her passion and knowledge with individuals of all ages and levels, with her own “Rock the Mat” workouts. And as new mom who taught throughout her entire pregnancy, she offers an array of pre and post-natal modifications and tips for those in need. Check out her blog at www.fitcollective.nyc and her classes at barre3 West Village or barre3 Livingston. She also teaches private clients, by appointment only. 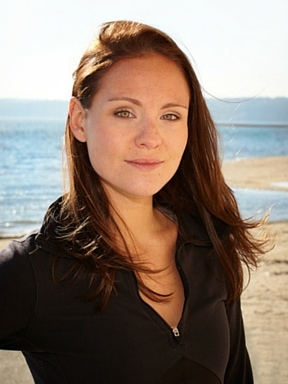 ​Julia is a coach and nutritional consultant who specializes in sports performance and body composition. She began coaching competitive gymnastics at the age of 16 outside of Atlanta, GA where her passion for the sport and watching young athletes develop evolved into an obsession with athletics for all ages. When she began her adult training career, Julia became a certified yoga instructor. Since then, she has expanded her areas of expertise and has developed a reputation at one of Manhattan’s elite boutique training facilities, Epic Hybrid Training. As their head coach and program director, she was able to grow as a coach and athlete. You can now find her coaching at TS Fitness on New York's Upper East Side and as Head Youth Athletic Trainer as well as Crossfit and Barbell Coach at Crossfit Spot. Julia has successfully competed in obstacle races, half marathons, body-building competitions and most recently, olympic weightlifting. She holds awards as a Spartan Racer, WBFF Figure Pro and Weightlifter. Her understanding of the body, nutrition, event-specific training and recovery make her a versatile and dynamic coach. Often finding herself restlessly practicing handstands during her 9-5, Kate started GetFit615 in Nashville in March of 2014 with one goal in mind: get people to sweat more. GetFit615 hosted many free events around town with the intention of giving people an option to try new things. Then the opportunity arose for GetFit615 to move into the space below Shakti Power Yoga on Music Row and it felt like a no-brainer! Kate's goals through GetFit615 are to encourage students to love their bodies and appreciate them for all they can do! She believes that fitness is a lifestyle and that it's all about doing what you like with people you love. She uses functional training and will never do exactly the same workout twice. She keeps it fun, energetic and sweaty. 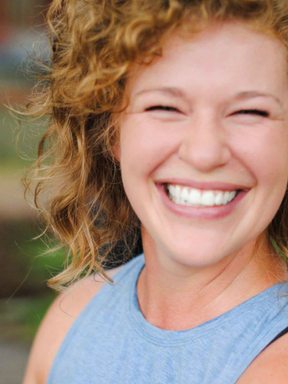 Kate's goals are to share her passion for sweating, yoga, and laughter and bring her values of community, empowerment, inspiration and love into the gym and into your life! 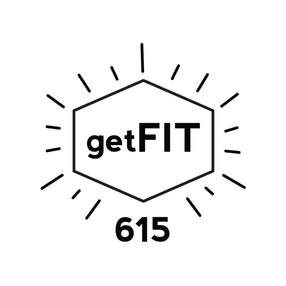 Everyone, every strength and EVERY body is invited and welcome to GetFit615! ​Coach Kelly is a classically trained and comprehensively certified Pilates instructor. Kelly began her career in fitness in 2012, and has been an athlete practicing movement since her early days as a gymnast and dancer as a young girl. It was only natural that Kelly gravitated towards Pilates as her preferred exercise routine in the years after college, as the focus on precise movement appealed to her senses. Kelly is also certified in Prenatal Pilates and the Lagree Fitness™ method, an exercise method performed on the Megaformer, an innovative take on the original reformer that transforms and sculpts the entire body with cardio-infused Pilates-esque exercises. Kelly’s light-hearted and highly motivational approach to teaching encourages her clients to give their all and get the best workout they can that day. Her classes are tailored to challenge both the beginner and advanced client to reach their full potential, all while having fun and sweating it out! Layne Bruner is a group fitness instructor living in Austin, TX. She identifies herself as an endless joy seeker, a fitness motivator and she is always looking for self-improvement and a better way to live this life. She is fueled by her Faith. Layne has a vast background in fitness and dance and has studied ballet, tap, modern dance and jazz at studios in California, Florida, Virginia, West Virginia, Dallas and Austin, Texas. In college, Layne was on the dance team at West Virginia University (NCAA) where she was the senior dance leader and choreographer. She has danced in the Macy’s Thanksgiving Day Parade and was a member of the Lady Wranglers dance team for Austin’s Arena Football team, the Austin Wranglers. Additionally, Layne was selected to represent the Austin Wranglers as a member of the Arena Football League Dream Team where she performed in the championship game in Las Vegas, NV. Layne Bruner is certified in barre3, High Intensity Interval Training and Zumba Dance Fitness. She is currently teaching at barre at barre3, Zumba, Dance Jam, and C9 Interval training at Lifetime Fitness. Follow Layne on Instagram or Facebook @wellthy_soul for positive motivation for real people like you and me. In a world that preaches “high Intensity” and workouts that “kill” you, Nedra brings a fresh approach to creating change in the body. First create a foundation with functionality, prevent injuries, and then challenge your body to transform. With nearly a decade in the fitness industry, she has refined her technique to help find balance in her client’s physique and fitness routine. Her success is accredited to manipulating the body using movements using a variety of disciplines. Through her own experiences and fitness journey, she has created a method that combines the functionality of strength training, the agility of kickboxing, the power of plyometrics, Pilates core exercises, kettlebells, yoga, TRX and various other functional exercises in order to transform her clients. Nedra prides herself in making every exercise effective, challenging and fun, and her mantra is: “There are many ways to achieve your goals. Always keep your body guessing and constantly challenge yourself… do something you love, conquer something you dislike, and have the courage to do something you are “bad” at." Born and raised in the Bronx, Robert Ramsey has touched many lives across New York City with his life and wellness training. Using motivation, discipline, and empathy, Coach Rob empowers people of every shape, background, and age to be the best they can be. After recognizing unhealthy relationships with eating and exercise in her early 20s, Sheryl decided to take control of her mind and body. She took a step back, changed her diet and mindset, and turned to yoga. Through her yoga practice, Sheryl was able to challenge her mind while relaxing it at the same time, and she started to have new feelings of strength, ease, accomplishment, open heartedness, harmony, and balance. Sheryl now shares her love for harmony and balance through yoga and music in different yoga studios and wellness facilities in NY and beyond. 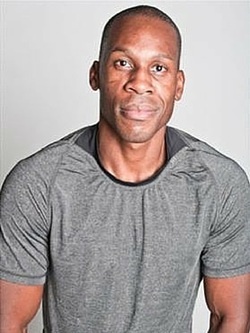 ﻿Coach Yusuf has spent over seven years as a Master Trainer / Instructor at top gyms and studios in NYC such as New York Sports Club, Tone House, and the Mile High Run Club. He is a NASM-certified trainer in the areas of Sports Medicine, Performance Enhancement, and Corrective Exercise, and he is TRX-certified as well. Yvette's path to becoming a fitness professional was ignited when she was introduced to Pilates. She found it amazing that Pilates could provide strengthening and conditioning yet also leave you feeling centered and relaxed. Yvette's goal is to help clients first understand their bodies, then discover what they are capable of, and she teaches efficient, powerful, and varied full-body workouts. 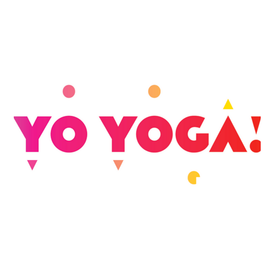 Named by RateYourBurn.com as one of NYC's Most Popular Instructors in 2014 and 2015, Yvette's students always know to expect an inclusive and inspired atmosphere where they will work hard, be surprised, and have fun! GetFit615 is Nashville's best new group fitness gym right on Music Row below Shakti Power Yoga. We have everything from cardio to strength training including kettlebells, TRX, rowing, and more! We think that you should do something every day that makes you sweat! And we're here to help! The most effective way to stay "fit" is to do movement that you love with people that you love. 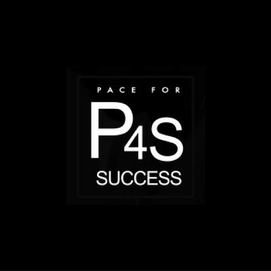 At Pace For Success we offer NYC Bootcamp style HIIT classes, Small Group sessions, Personal Training and a Running Program designed to unleash the inner athlete in you. We create F.I.N.E people through Fitness, Involvement, Nutrition and Empowerment. We take a special interest in our clients and help them reach their goals as we pace them for success. 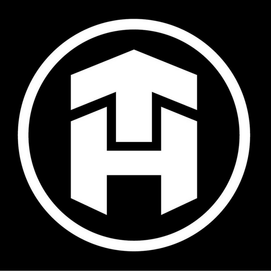 Tone House℠ is the first-ever extreme, athletic-based group fitness studio aimed at unleashing the inner athlete in everyone. Sessions are team-oriented, competitive, fun, and supportive, guaranteeing optimal fitness results. ​Whether you’re an elite athlete, or just want to train like one, Tone House’s goal is to bring sports conditioning workouts to the mainstream and help individuals improve their mental and physical health and become better overall athletes and people. 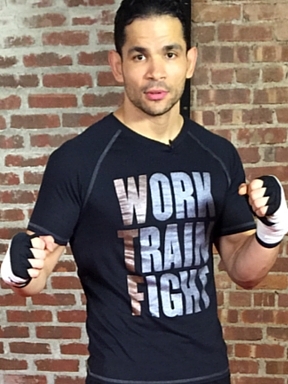 Alberto Ortiz founded Work Train Fight in 2009 on his 25th birthday. After growing up in the South Bronx and being surrounded by domestic violence, Alberto decided to make it his life mission to make everyone around him stronger. ​That’s when WTF was created, a boxing fitness facility dedicated to empowering everyone by making them physically and mentally strong. WTF's mission is empowerment through boxing and fitness. There are many fitness modalities out there, however none are able to train the mind, body and character like boxing does. A very non-New York studio that just happens to be located in New York. No pretension, no judgement. Whether we’re practicing on our private roof deck or our cozy inside studio, we take yoga seriously without taking ourselves too seriously. As there was little opportunity to practice yoga while growing up in Myrtle Beach, SC, founder Rebecca Weible was given a book about yoga by her mother. When she taught herself crow pose from the book she was hooked. While working in advertising, she taught yoga on the side. She decided to leave the corporate job environment and pursue her dream of opening a yoga studio and teaching full time. Rebecca’s teaching style focuses heavily on alignment and even breathing without losing the element of fun and humor. She wants students to feel comfortable and at ease during their practice while still challenging them to take their practice further each class.